Arjen Robben has denied criticising Carlo Ancelotti's training methods following the Italian's departure from Bayern Munich. A report from Kicker claimed that Robben had said that his son's youth team had better standards of coaching than the Bundesliga giants. 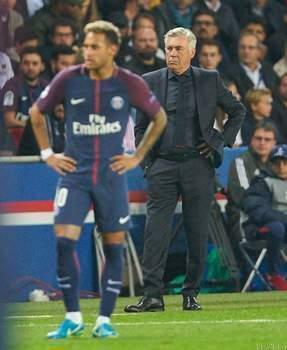 Ancelotti was sacked following Bayern's comprehensive 3-0 defeat to PSG in the Champions League last week amid reports of dressing room unrest and players turning against the Italian. However, the Netherlands international has now distanced himself from the quotes, insisting that they are "bull***t". "All of a sudden there are things appearing in the media that I would like to distance myself from. These so-called quotes are bulls***," Robben told NUsport . "I hate it when things like this happen. I am the last person out there who would have a go at a coach, a fellow player or anyone else. You have to be a man when someone leaves and don't hit out at anyone."